A highly engaging and emotionally draining true-life account of the 2008 Mumbai terrorist attacks, Hotel Mumbai also marks the assured directorial debut of Anthony Maras who brings forth the horror and the humanity that this most grievous of acts inspired. Terrorist attacks present the worst of humanity. Yet from its ugliness and fear driven ideology, the best of humanity is often there to counter the evil. They are found in the first responders, the volunteers, and in the tales of heroism from everyday people who risk their lives to save others. Hotel Mumbai features such a story. Based on the 2008 Mumbai terrorist attacks where 174 people were slaughtered by a pack of Muslim extremists, Hotel Mumbai is not an easy watch. 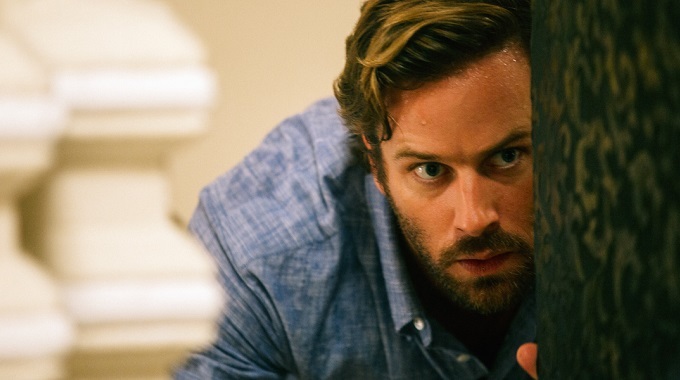 The deluge of death that Hotel Mumbai deals in is loaded with torturous tragic undertones. 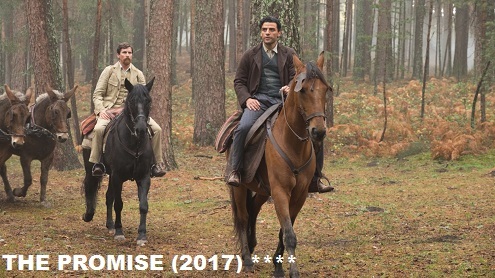 These lives were real and given no mercy. Hotel Mumbai, at the very least, hopes to give those who died a voice. The feature setting in Hotel Mumbai is the Taj Hotel, a magnificent structure that wows its constant stream of guests at first sight. With the mantra of “Guest is God” core to its customer service mission statement, the staff of the Taj seek to satisfy their guests every need, an approach that goes beyond the pale when that need involves surviving the deranged murderous spree of mad men armed with weapons. 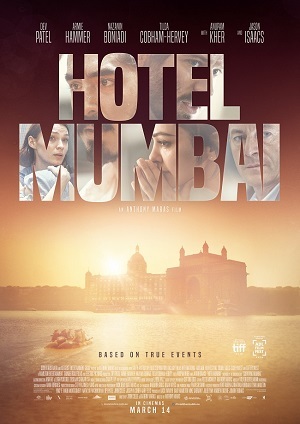 Directed by Australian filmmaker Anthony Maras, Hotel Mumbai focuses on a core selection of characters: Arjun (Dev Patel) devoted family man and ambitious employee; David (Armie Hammer) and Zahra (Nazanin Boniadi) new parents to a baby boy cared by their nanny Sally (Tilda Cobham-Hervey); unscrupulous Russian businessman Vasili (Jason Isaacs); and Oberoi (Anupam Kher) the head chef who devises a plan to save as many guests as possible. Every character is fleshed out by Maras and co-writer John Collee (Master & Commander). We, of course, know they want to survive, yet the very empathetic and palpable reasons as to why are incredibly moving and traumatic. Hammer and Patel are especially strong as fathers from different cultural and economic backgrounds, who are willing to risk their lives for their families. Maras delivers a suitably brutal work, but one which also brings reflection and discussion about religious influenced extremism, religious discrimination, the inability of authorities to counter violent fanaticism, and the fear that anyone of us could be a target at any time. Hotel Mumbai also shows that even when hatred strikes first and strikes hard, the last word belongs to those who respond with love and sympathy.